Cara membuat jumlah pengunjung (hit counter) di wordpress. 5. Copy pastekan kode/script yang sudah jadi kedalam situs/blog kita. 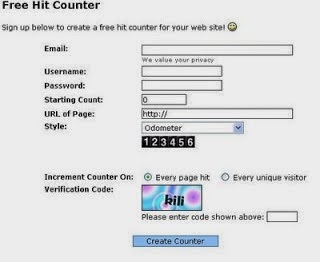 Untuk melihat semua counter style klik pada link Counter Style. 3. Drag (tarik) widget TEXT ke sidebar –> Beri judul –> paste code HTML yang telah agan copy tadi..
4. Lalu klik simpan & selesai. Apa manfaatnya menampilkan statistik blog kita pada orang lain? Thanks for share your topic and get more information topic to be discuss and also displayed english language your page For more details:Matrimony,Trichy Matrimony,Tamil Matrimony,Chettiar Matrimony. Thanks for sharing an information to us. If someone want to know about Digital Marketing and SEO Service. I think this is the right place for you!